The skiing is almost as big as the resort's reputation - it's become a favourite because of the spectacular views from the mountain onto the lake and the raucous nightlife in the busy town below. The Schmittenhöhe is certainly an interesting ski area with a good range of runs, but the neighbouring resort of Kaprun adds another medium-sized ski area and the attraction of snow-sure skiing on the glacier. 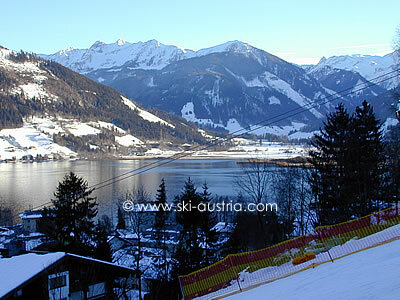 Zell am See's skiing can be accessed from a number of lifts, but the most convenient point for many people is likely to be the CityXpress gondola, which, as its name suggests, leaves from the centre of the town. 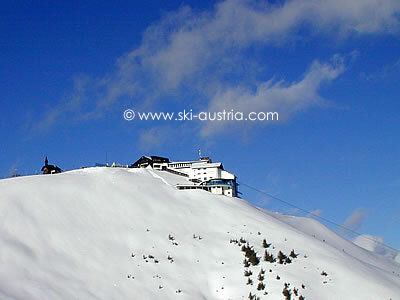 The lift takes skiers to an open area with an easy draglift for beginners and a mountain restaurant. The Hirschkogel chair can be taken further up the hill to link in with the Schüttdorf side or to head on up to the top of the hill. The City Express also offers access to the Schmittenhöhe cable car via a slow and flat blue run or a speedier but harder black run. 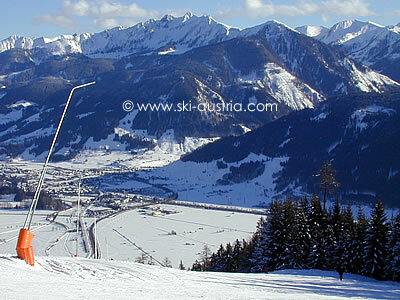 The Schüttdorf side has lengthy intermediate runs down to the village and the higher slopes can be accessed again by the different stages of the Areit gondola. For those unfamiliar with the area, the summit of the Schmittenhöhe can seem like an unattainable goal from this side. The answer to finding the way to the top is to take the traverse to the lifts at the back of the peak, or alternatively to head down to the bottom of the cable car, since none of the lifts on the left-hand side rise high enough to reach the summit. If heading down to the base of the Schmittenhöhebahn, care should be taken as the easiest access is via various black runs. They are often well-groomed but can be extremely icy in bad conditions. The top of the cable car boasts an outside bar and restaurant. along with a nearby chapel, which is regularly used as a romantic setting for wedding vows. 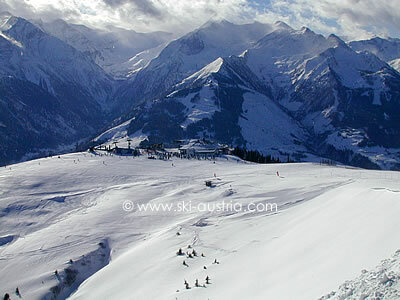 The Sonnkogel side offers a variety of intermediate runs and can be a little less crowded than the main slopes across the valley. The run to the base of the Schmittenhöhe is another black and the centre of the town can be reached again along a lengthy blue path. 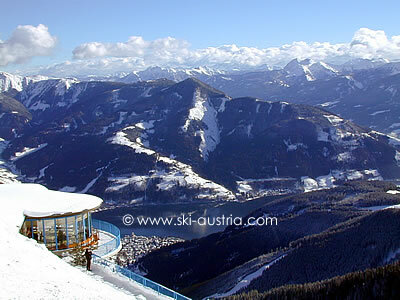 Looking for the best ski accommodation in Zell am See? The live webcam stream below is taken from the Schmittenhöhe. Another webcam showing the lake and villages is available by clicking the middle button above the live stream.